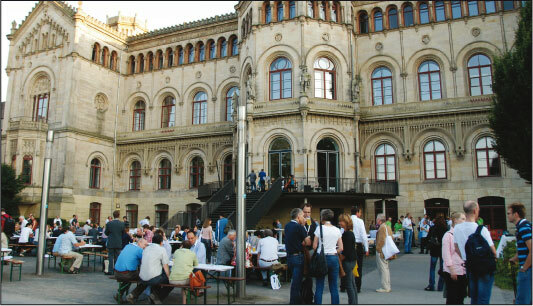 This year, from the 4th until the 7th of September, GOR’s annual meeting took place in Hannover, according to some the world’s most beautiful city. And indeed, on Tuesday evening, the park behind the Welfenschloss of Leibniz Universität Hannover (LUH), was the most beautiful site to welcome the participants with a BBQ, local beer and other refreshments. Over 500 participants had come from about 40 countries all over the world to meet at this truly international conference. Stefan Helber, chair of the organizing and program committee, formally opened the conference on Wednesday morning. After thanking the sponsors and LUH for their support, he gave special thanks to Anja Wolter, who, for the preceding two years, had been the reliable engine behind the organization of the meeting. As an expression of gratitude, Anja received a beautiful small tree. Other highlights of the opening session included the announcement of the recipients of the GOR PhD and Master Awards, the announcement of the winner of the GOR Company Award (Siemens), and the thought-provoking plenary presentation by Raimo P. Hämäläinen (Aalto University School of Science, Finland) entitled „On the need for Behavioral Operations Research“. The conference theme was Energy, Markets and Mobility, which was well reflected in the program. 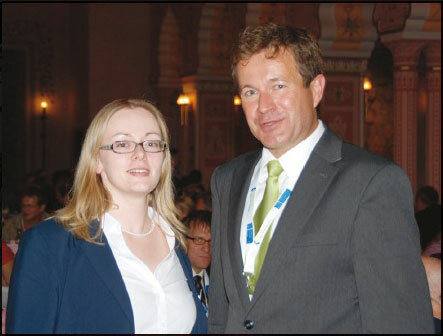 For instance, one of the plenary speakers, Horst Oehlschlaeger from Volkswagen gave a presentation entitled Outlook on Low-Emission Light Commercial Mobility – New Energy for the Future. Furthermore, many semi-plenary presentations addressed the theme. Examples are the presentation by Michael H. Breitner (LUH) on Modeling the Transformation of the German Energy System until 2050, Martin Bichler’s (TU München) talk on Discrete Optimization and Market Design, and the presentation by Martin Skutella (TU Berlin) on Modelling Network Routing Problems including a Temporal Dimension. It was very interesting to see what each speaker could contribute to address the challenges associated with the theme by using his/her specific expertise. The excellent choice of the conference theme became also clear from the fact that both the streams Energy and Environment and Renewable Energy and New Mobility were highly successful. Real-time Control of Ambulance Fleets through a Combination of Statistics, Approximate Dynamic Programming, and Simulation Optimization. This overview shows that the organizers had been able to design a program that, besides the conference theme, covered a variety of interesting topics presented by well-known experts. Complementary to the solid scientific program, there was an attractive social program. On Wednesday evening the deputy mayor of Hannover came to the Welfenschloss to deliver a speech and to have a drink with the participants. During the days, there were optional tours and excursions to, amongst other places, the Sprengel Museum, the Royal Garden of Herrenhausen and Volkswagen Commercial Vehicles. And there even was a running sightseeing tour of Hannover, for those who were sporty and brave enough to get up early on Thursday. 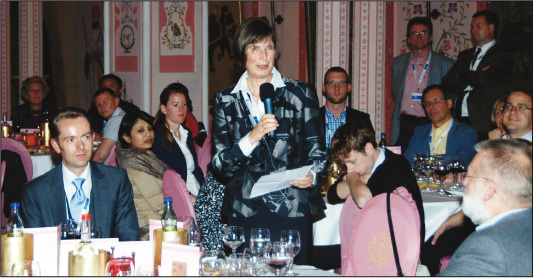 On Thursday evening, the conference dinner took place in the Great Hall of the Maharajah of Hannover’s Zoo. In this exotic place, the guests were treated on a nice dinner that went very well with the surroundings. During the last session on Friday, Hans-Georg Zimmermann, the last plenary speaker, talked about his decades-long work at Siemens, the winner of the GOR Company Award 2012. With this impressive overview the scientific part of the conference drew to its end. At the closing ceremony, it was concluded that the conference had been highly successful. On behalf of all participants, we would like to thank the organizers once more for a very well-organized meeting in a nice atmosphere. OR 2013 will take place from the 3rd to the 6th of September 2013 in Rotterdam, the Netherlands. The conference theme will be Impact on People, Business and Society. For more information, please see www.or2013.org.